This adorable chap made his way home with me after a recent browsing afternoon on Magill Road. There was just something about hot pink antlers that I couldn’t resist. Thankfully the family realised his charms and my deer made his way above our bed, like some sort of hunting trophy. 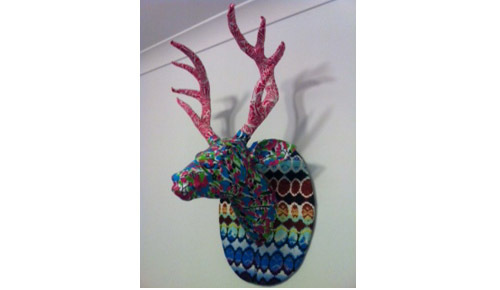 For patchwork, Liberty-esque deer busts and other outlandishly individual homewares, furniture and art visit Louis Bond at 133- 135 Magill Road, Stepney.